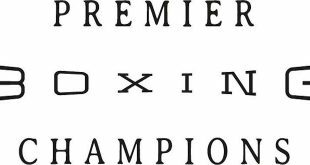 Popular Massachusetts' welterweight Danny "Bhoy" O'Connor (26-2, 10 KOs) takes on Brooklyn's Gabriel "Tito" Bracero (23-2, 4 KOs), in a 10-round rematch of their 2011 bout won by Bracero, as the main event of Premier Boxing Champions (PBC) on NBCSN Saturday, October 10 from the Lowell Memorial Auditorium in Lowell, Massachusetts with televised coverage beginning at 8 p.m. ET/5 p.m. PT. The evening's co-main event will feature undefeated super featherweight knockout artist Jonathan Guzman (19-0, 19 KOs) battling exciting brawler Danny Aquino (17-2, 10 KOs) in a 10-round bout and rising local prospect Ryan "The Polish Prince" Kielczweski (23-1, 7 KOs) takes on the exciting Rafael "Dynamite" Vazquez (16-1, 13 KOs) in a featherweight bout. "I'm excited to be fighting at a building with great boxing history such as the Lowell Memorial Auditorium," said O'Connor. "I won the Golden Gloves there and I can't wait to fight there again. I'm also excited to avenge my first loss against Gabriel Bracero. I'm so ready for this!" "This is a huge fight for me and my career," said Bracero. "I only have one thought in my mind and that's victory. Danny is a tough opponent and on a winning streak right now. The best 'Tito' Bracero will be there October 10. I beat Danny before and I plan to do so again, in his backyard, even more convincingly. My best days are still ahead of me and you will see that come October 10." "I'm excited for the October 10th PBC on NBC Sports Net from the Lowell Memorial Auditorium," said Lou DiBella, President of DiBella Entertainment. "All three TV fights are super competitive matchups with the outcomes in doubt. "In the main event, Boston's Danny O'Connor will rematch with Brooklyn's Gabriel Bracero in an attempt to avenge a close decision loss. Undefeated junior featherweight puncher Jonathan Guzman will try to keep his record perfect against dangerous contender Danny Aquino. "The opening bout features another 50/50-type matchup as Quincy's Ryan 'The Polish Prince' Kielczweski faces hard-punching, world-ranked Rafael Vazquez from Brooklyn." The city of Lowell is one rich in boxing history and is the hometown of Massachusetts legend and three-time Fight of the Year participant "Irish" Micky Ward. "It is an honor to have this fight happen in my hometown," said Ward. "Danny O'Connor is so ready for this opportunity. He is focused like I've never seen him before." Part of Lowell's deep boxing history are the future Hall of Famers who have fought in the city as amateurs, including Rocky Marciano, Sugar Ray Leonard, Mike Tyson and Marvelous Marvin Hagler. "Bringing a big fight to Lowell is incredible," said Ken Casey, Founder of Murphys Boxing, "Lowell is such a great fight town and it is Micky Ward's hometown. For Danny O'Connor to have the chance to avenge his first loss in his own backyard with all his fans cheering him on is going to be a site to see." A National Golden Gloves champion who has fought as a pro since 2008, O'Connor gets a chance to avenge his defeat to Bracero when they square off October 10. The 30-year-old is coming off of three straight knockout victories over Michael Clark, Andrew Farmer and Chris Gilbert. Fighting out of Framingham, Massachusetts, O'Connor is looking to impress in a fight on his home turf. Bracero has won nine of his 11 fights since defeating O'Connor in 2011 and hopes to see a repeat of that performance on October 10. Fighting out of Brooklyn, the 34-year-old owns victories over Dmitry Salita, Pavel Miranda and Jermaine White. He will be going into unfriendly territory for his first pro fight in Massachusetts. Owner of a perfect knockout percentage, Guzman looks to build off of his last three fights, all knockouts coming in the New England region. 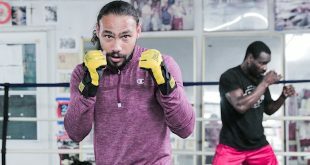 Born in Santo Domingo, Dominican Republic, the 26-year-old fighting out of Lawrence, Massachusetts faces the toughest challenge of his career and will look to make his mark as a 122-pound contender. The 25-year-old Aquino made his mark with a hard fought victory over the previously undefeated Kielczweski in April and returns to New England in hopes of taking down another unbeaten prospect. 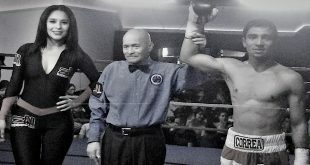 Born in Mexico, Aquino fights out of Meriden Connecticut and owns victories over Jhon Alberto Molina and Coy Evans and will hope to make it three wins in a row on October 10. A runner-up in the 2008 National Golden Glove tournament, the 25-year-old Kielczweski has become a staple fighting in his home state of Massachusetts. Born and raised in Quincy, he bounced back from his first defeat to deliver a first round knockout over Anthony Napunyi in May. 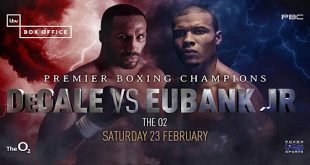 Another tough challenge awaits "The Polish Prince" as he looks to prove his world title worth. Brooklyn's Vazquez has kept a busy schedule in 2015 and will return for his fifth fight this year when he challenges Kielczweski. While the 37-year-old Vazquez is ranked highly in the world rankings at number seven and is seeking a world title opportunity, fame and glory are not his top priorities. With an autistic daughter and a wife diagnosed with cervical cancer, Vazquez fights for his family. Getting a late start to boxing, Vazquez, who lost both of his parents at an early age and endured a stint in prison as a wayward youth, turned pro in September 2010. He has since donated portions of his purses to autism research, while also holding fundraisers to help raise awareness.